When Adam Smith made the case for free market capitalism in 1776, it was the beginning of the Industrial Revolution, and land based wealth creation no longer served the public good as the shift to labor fueled manufacturing had begun. Capitalism works so well because it rewards efficiencies, and is built on incentive. Market efficiencies will evolve more in the next 10 years, then they have in the 241 years since Smiths writing of The Wealth of Nations. Transformative technologies like Artificial Intelligence, Robotics, the Internet of things (IOT), Autonomous Vehicles, Virtual Reality, Digital Traceability, and Blockchain will forever change how we consume goods and services. 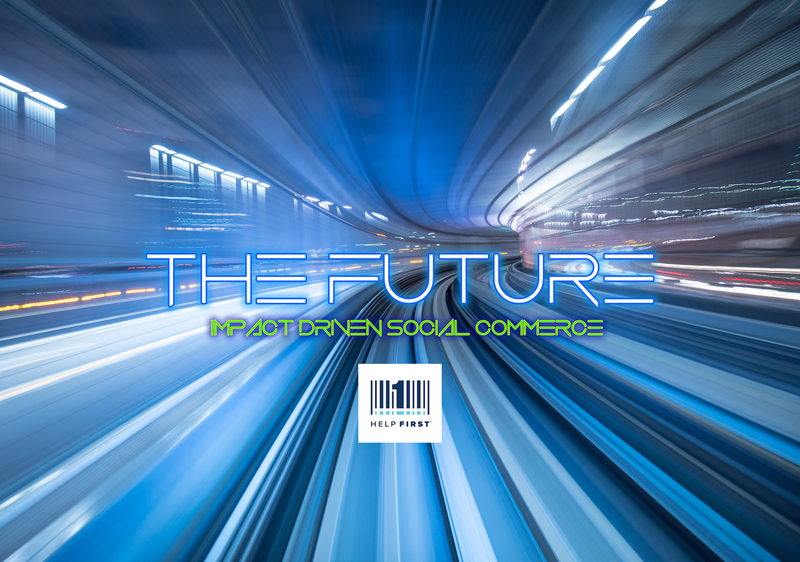 While simultaneously, as a people, our incentive structure is evolving as well; modern consumers are overwhelmingly driven by social impact when making purchasing decisions. This would not surprise Smith, as he believed, as do I, that market forces can alleviate poverty. Many are surprised to learn that in Wealth of Nations the “Father of Capitalism,” discusses charity and human ethics extensively. While much of the philosophy behind Smith’s work is based on self-interest and maximizing profits, “The Theory of Moral Sentiments,” was a dissertation underlying how human communication relies on sympathy. He extensively explored ideas such as morality and human sympathy. Smith argued that people are self-interested, but naturally like to help others. HelpFirst was accepted into the Global Startup Incubator 1776 in Washington in May. When Smith wrote Wealth of Nations in 1776 we were entering the Industrial Revolution. As I work to develop this Impact Driven Social Commerce Platform; we are leaving the Industrial Revolution and entering a new era of Global Enterprise, and the fundamentals of the free market will need to evolve. Once AI, Robotics, and 3D Printing and the other developing market tools are implemented; the wealth creation model will once again shift as robots and 3d printers will manufacture the majority of our goods, and provide the majority of our services. Artificial Intelligence could double annual economic growth rates by 2035 by changing the nature of work and spawning a new relationship between man and machine. AI’s economic benefits for the United States are projected to generate an additional $8.3 trillion in annual gross value added (GVA). But the digital transformation will have many negative consequences as well. Up to 40% of the US workforce could lose their jobs by 2030. The mass unemployment and retail space repurposing that will affect the entire country will require a new partnership mindset between corporations, consumers, and communities. Responsible, responsive leadership and collaborative action through public-private partnerships will be vital. With the understanding that human communication relies on sympathy, and to facilitate the social impact requirements of the modern marketplace, we’re utilizing community impact to create lasting connections of value between consumers and merchants. The HelpFirst platform facilitates the new market value proposition. We incorporate consumer directed social impact into every sale, while facilitating the consumer control and experience that the empowered consumer of the modern marketplace will come to expect. We have the opportunity to make the new market work for all of us, to improve our society through the market value proposition that the HelpFirst Commerce Platform facilitates. If we work together, we can set civilization sized goals, and achieve them. We Believe The Commercial Value Proposition Should Empower The Consumer, Promote The Brand, And Strengthen The Community. The HelpFirst platform builds meaningful and lasting community connections of value between consumers and brands.